As waves crash down – her eyes would flicker, just like a light at night. Atlantis and Aurora Borealis; there is a black sea in her soul – deeper than Alice’s rabbit hole. Call onto the sirens of the deep, awaken the spirits from their sleep. 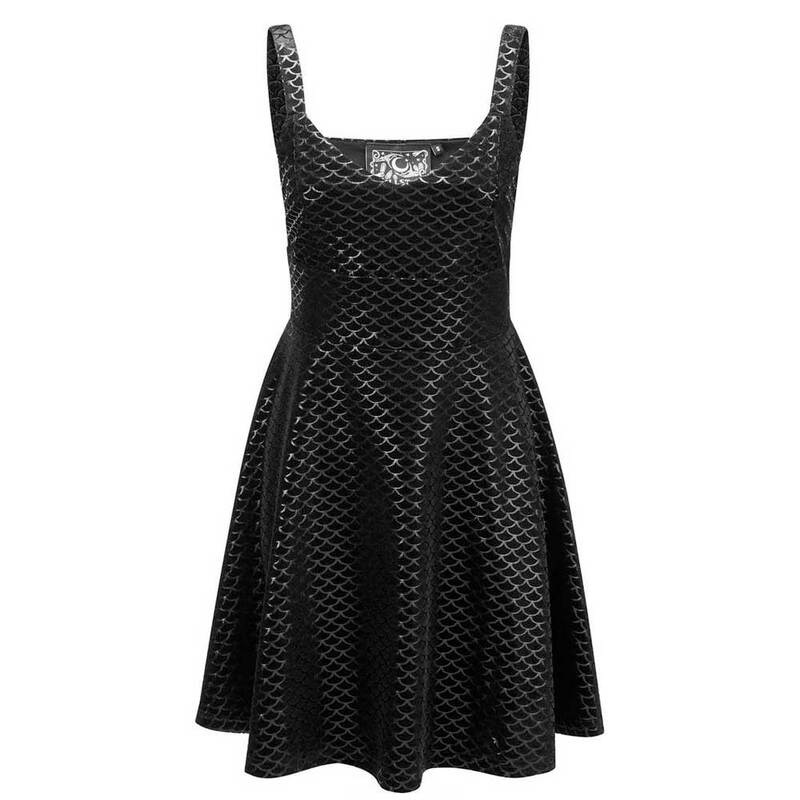 The dreamy ‘Black Sea’ skater dress is conjured of the softest lush velvet; with a black-on-black repeat pattern. Low neckline and classic styling, with a flowing skater skirt. You are ready to go from dusk to dawn with ease in this flattering and versatile dress! Match with stockings and yer fav jewels.